Underrated mod, this really changes a lot especially playing as a thief. Most of the time there aren't many valuable items to steal and rich people/aristocrats should have more jewelry and gold. Great mod! Damn... Do you speak Russian? 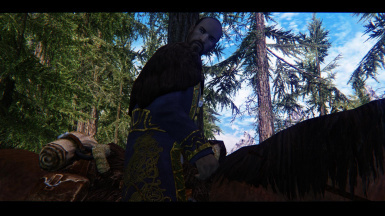 This mod makes nobles you meet on the roads carry jewelry and gems. If you save your game next to a travelling noble before installing this mod, and load it afterwards the noble won't be carrying jewelry or gems, and you will have to find a new one. It simply is easier to understand and has decent grammer. Great point! It would make those damn boring travels way more intresting! Immersive Patrols helps with that. Are you referring to those sorry sods whom we encounter on the roads?